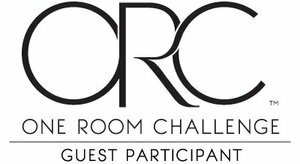 If you're unfamiliar with the One Room Challenge, it's a biannual 6 week event made up of two parts- "Featured Designers" who are selected by the organizer and share their designs every Wednesday, and "Guest Participants" who can choose to participate on their own and link up their post with other bloggers taking part each Thursday. 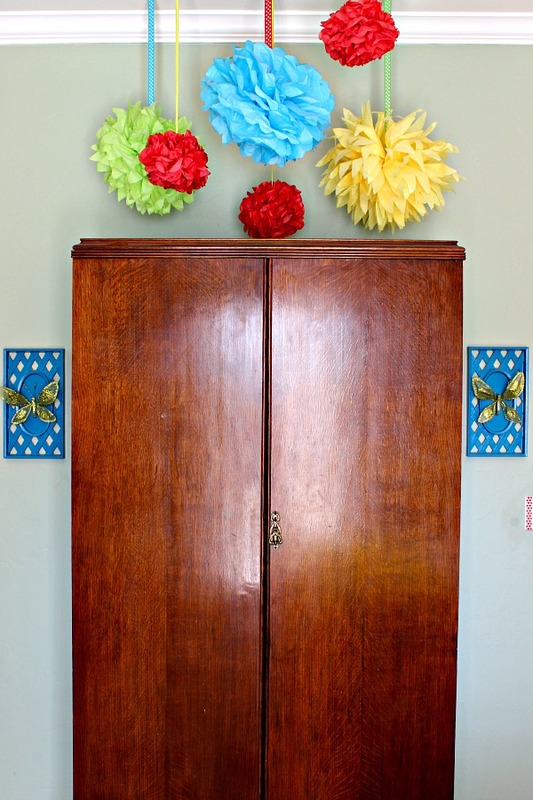 It's not a contest, the "challenge" is personal for each participant to get a space finished. Regardless of the group, a whole lot of people accomplish a whole lot of pretty things over those 6 weeks! I have participated in the One Room Challenge twice in the past, and I can't believe those projects are now 2 and 3 years old! This time I chose to makeover my daughter's room for the ORC. Since the first of the year we've been planning to update her room at some point, but just yesterday I decided that we could make it an ORC project! Needless to say, we've had a slight direction in mind where we're headed but the majority of the decisions still need to be made. 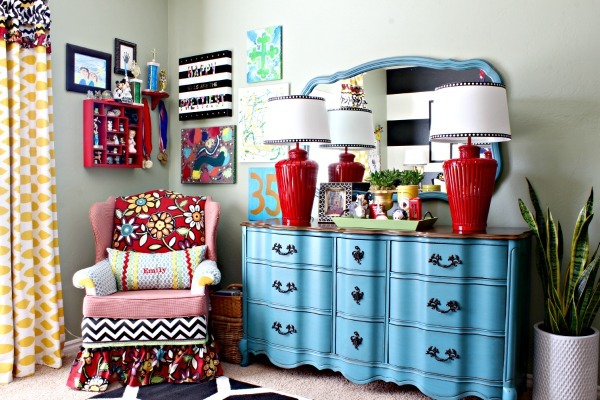 It's bold, bright and colorful and has been a fun room for her to grow in for the past 7 years. However, she'll turn 15 just a few days before the final reveal date, so we figured this was perfect timing for an update. We're working to finalize our plan and design board, and I'll share that with you next week. Be sure to check in on what all of the other Guest Participants are up to today! I've been following you for a few years love what you do! Exciting to see where you go! Can't wait to see the new look for your daughter's room. 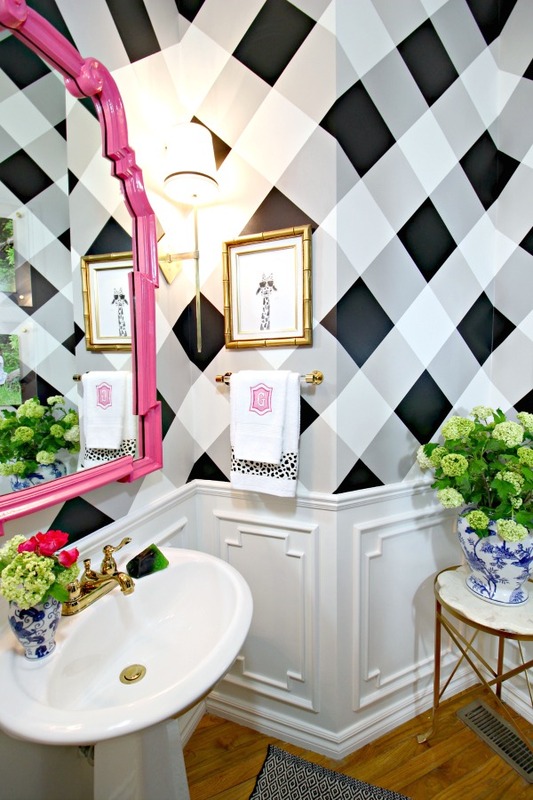 I love your style and your use of color and pattern. I look forward to your posts! Oh fun! Especially when you get to design for someone you love! Can't wait to see what you and your sweet girl come up with! I know it's going to be colorful and gorgeous! Can't wait to see how you take this (already extremely charming) bedroom into a new era for your growing girl! 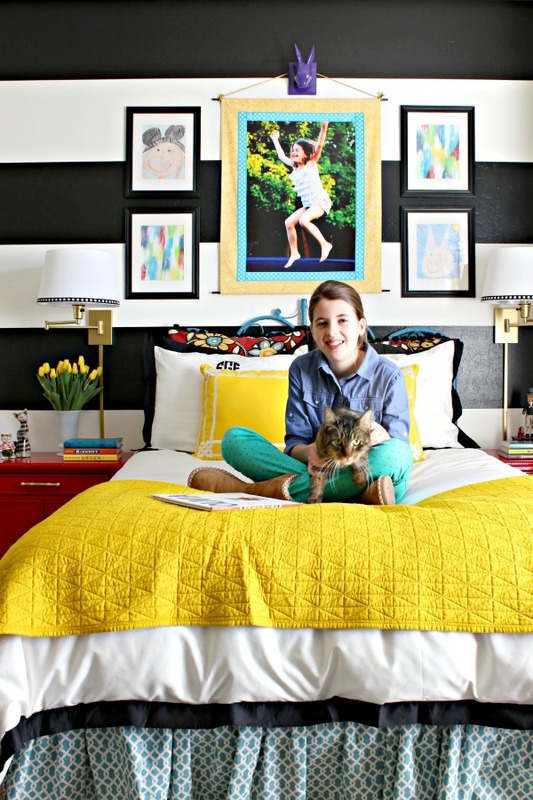 I'm pretty much drooling over the black and white striped wall, so it's a relief to hear that it's staying. 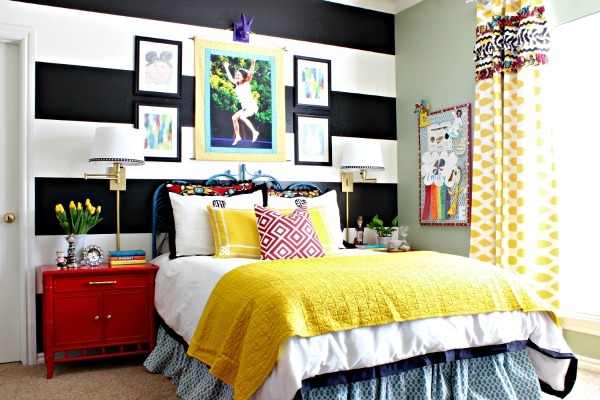 I might just have to stripe up my own bedroom! I love the room already and think you have a great start to her "grown-up" room. I admire your use of bold color and can't wait to see the results! So excited to see what you come up with - you are so inspirational!! Thanks for sharing all of the details! So helpful! 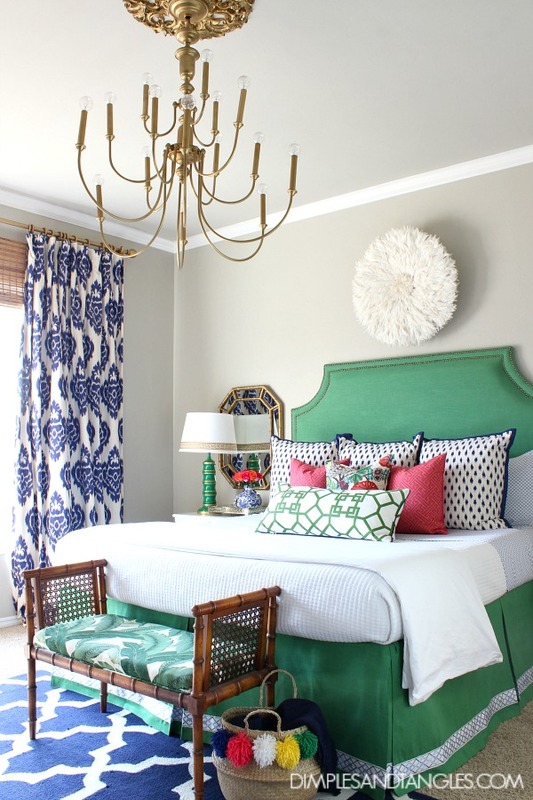 Your ikat curtains in your master bedroom hung in our last house's dining room. We are textile spirit animals I believe:) I can't wait to see what you do with your space. I love that you noted that this challenge is a family affair because it TRULY is! It takes a village right?! We are participating in our first ever ORC by making over our mudroom! Best of luck to you! Excited that you decided to jump in! Can't wait to see what the two of you come up with. Looking forward to following along! Regardless of what the final outcome might be - I'm as much impressed that your 15-year-old daughter 'allows' you to be involved. Teen daughters are a precious breed known for their daily highs and lows. I'm sure the final product is going to be snazzy!